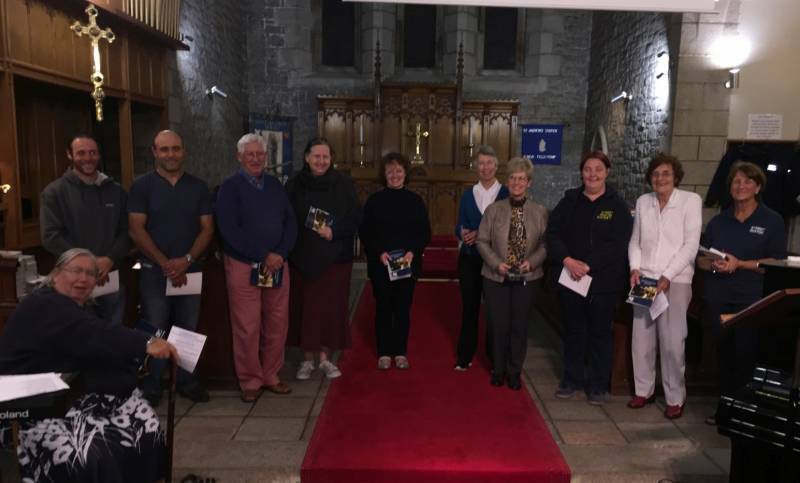 Street Pastors is an inter-denominational Church response to urban issues engaging with people on the streets to offer reassurance, safety and support. It was pioneered in London in January 2003 and has seen some remarkable results, including drops in crime in areas where teams have been working. There are now over 300 teams around Great Britain. 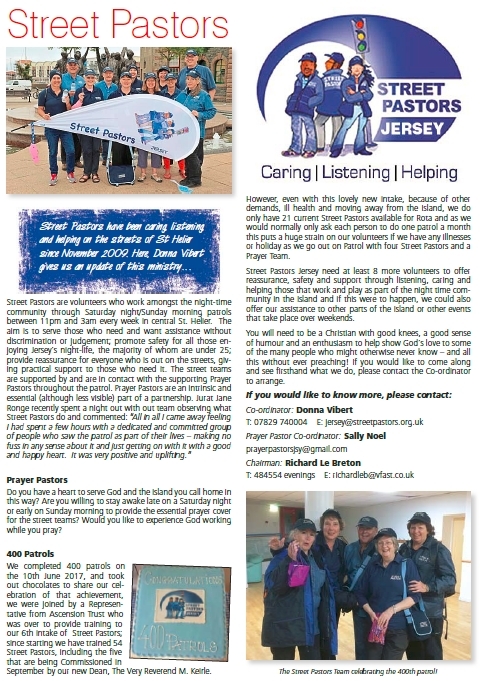 Street Pastors have been caring, listening, and helping on the streets of St Helier since November 2009. 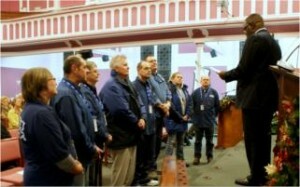 Les Isaac, Founder of Street Pastors, commissions the first Jersey street pastors in November 2009. Since then there have been a total of 49 Street Pastors Commissioned. 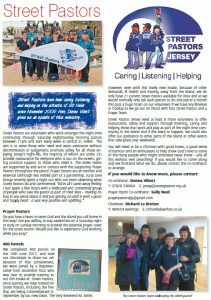 In 2017 we also commissioned our new Prayer Pastors for the first time. On 10th June 2007 we completed our 400th patrol.